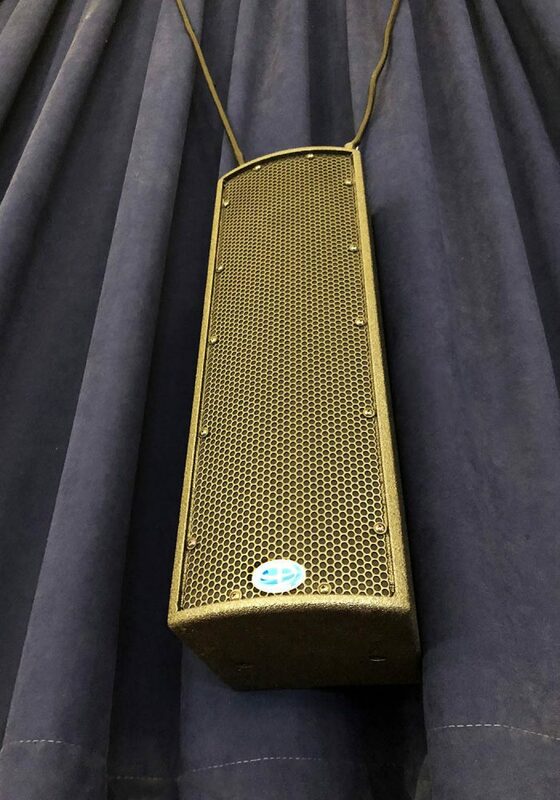 DEARBORN, MI – A/V integration firm KLA Laboratories recently installed Danley Sound Labs loudspeakers and subwoofers in the auditoriums at both Fordson and Edsel Ford High Schools. Reflecting its early and continuing history as the location of the Ford Motor Company headquarters, two of Dearborn, Michigan’s three high schools bear the great automaker’s name: Fordson and Edsel Ford, both essentially named in honor of founder Henry Ford’s son. Fordson High School instructs 2,700-plus students and Edsel Ford instructs 1,500-plus students, and both schools benefit from large, 800-plus seat auditoriums for performances, lectures, and community events. Local A/V integration firm KLA Laboratories recently installed Danley Sound Labs loudspeakers and subwoofers in both auditoriums, which has greatly elevated intelligibility and musical impact without negatively affecting their clean visual aesthetics. “Previously, the two auditoriums used very different systems, as they had two different characteristics – Fordson with drapery walls and Edsel Ford with concrete. Both were ready for an upgrade and the Danley system could be utilized for both environments,” explained Doug Soper, audio and video specialist at KLA Laboratories. “They used a variety of loudspeaker manufacturers and variously attempted a distributed system without delays, zero subwoofer support, and loudspeaker patterns that combined to produce hot and cold coverage.” Fordson High School has a slightly longer, narrower auditorium, and unlike Edsel Ford, has a 200-seat balcony. The existing system did not cover this area and it was rarely occupied. The new systems at Fordson and Edsel Ford High Schools are nearly identical. A pair of Danley SBH10 column-form, point-source loudspeakers provide beautiful stereo coverage from the walls on either side of each stage, while a smaller Danley SBH20 column-form, point-source loudspeaker provides front-fill from an angled position on the wall above the stages. A pair of Danley THmini subwoofers fill in the low-end content, and a pair of Danley SM80 loudspeakers serve as super hi-fi stage monitors. A new Allen & Heath digital console provides convenient recall, and Crown DCi-series amplifiers power and process the system. In addition to this Fordson High School’s balcony gets covered by a pair of Danley GO2 8CX loudspeakers.